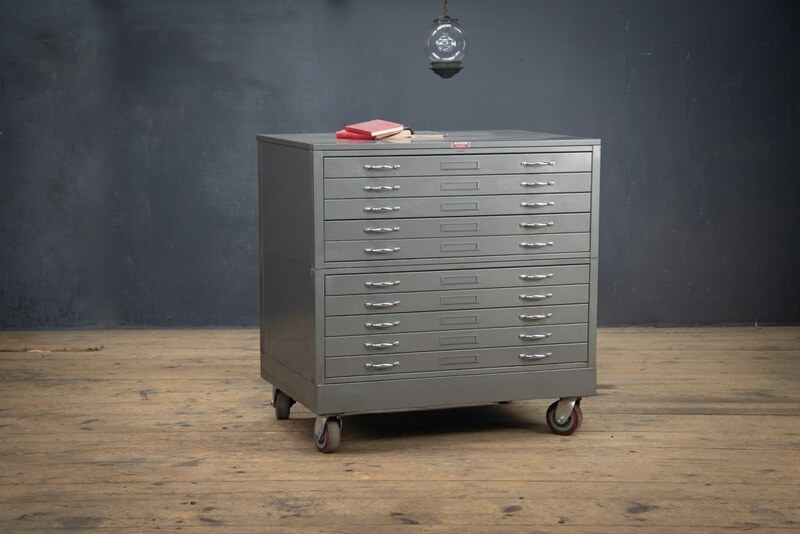 USA, 1950s, Vintage Industrial Shippley Artist/Architect Flat File Drawing Cabinet/Chest. All Steel Construction. Highly Functional. 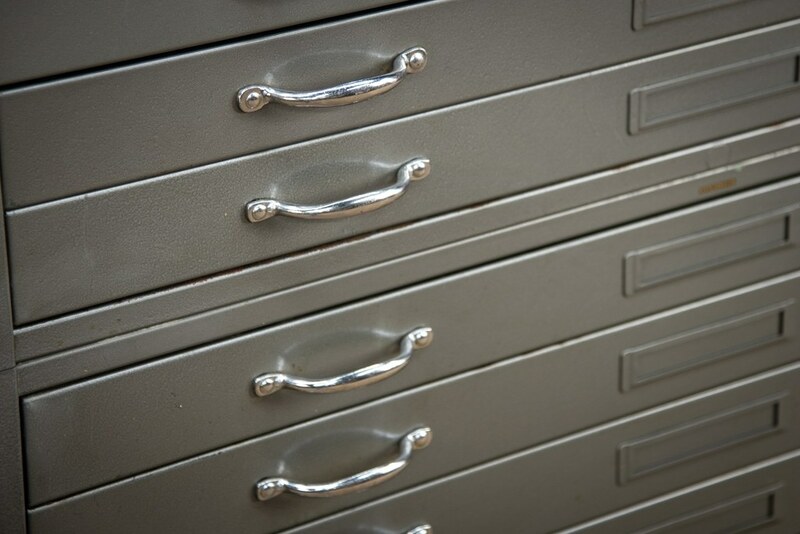 Smooth Rolling Drawers with Polished Nickel Pulls. 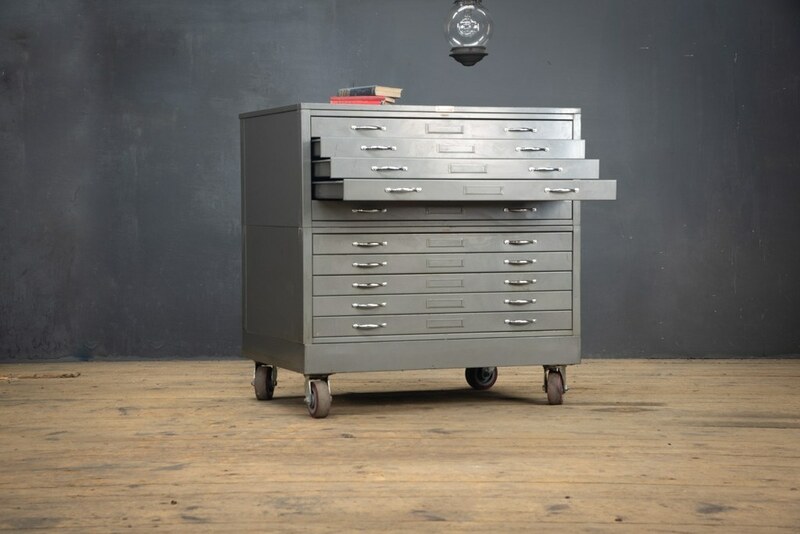 Consists of 2 Modular Cabinets of 5 Drawers each. Solid and Sturdy. 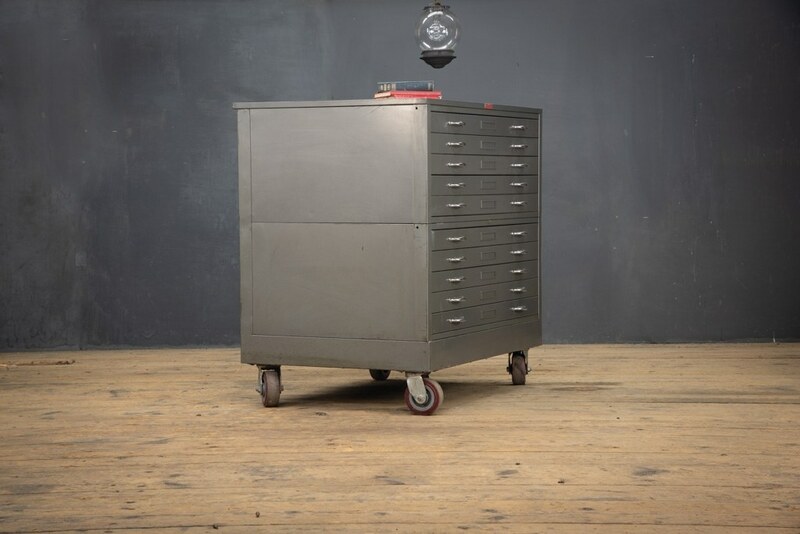 The Cabinet sits on a Set of Industrial Swivel Casters. 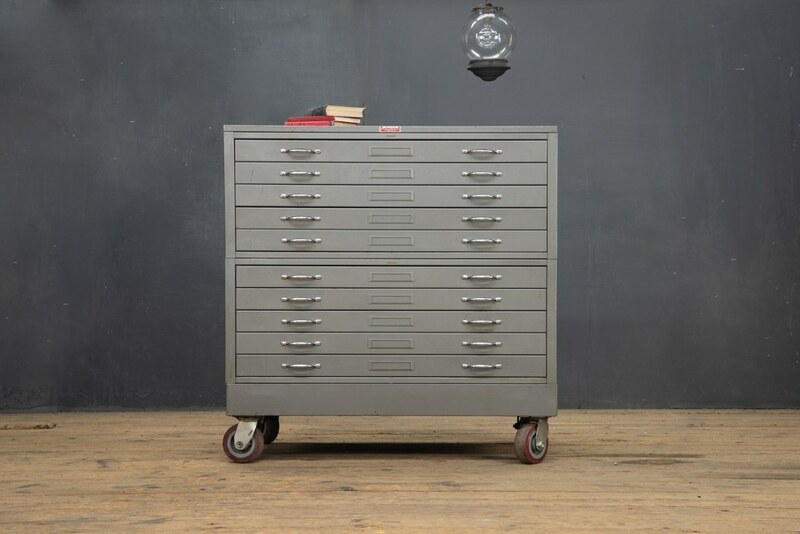 The exterior of the Cabinet has is a Graphite Finish with a Worn Patina. The Interior of the Drawers is Very Clean.